Madison Audubon at the WI Garden Expo! Take a break from the Wisconsin winter life, and enjoy the beauty, excitement, and resources found at the Wisconsin Garden Expo! 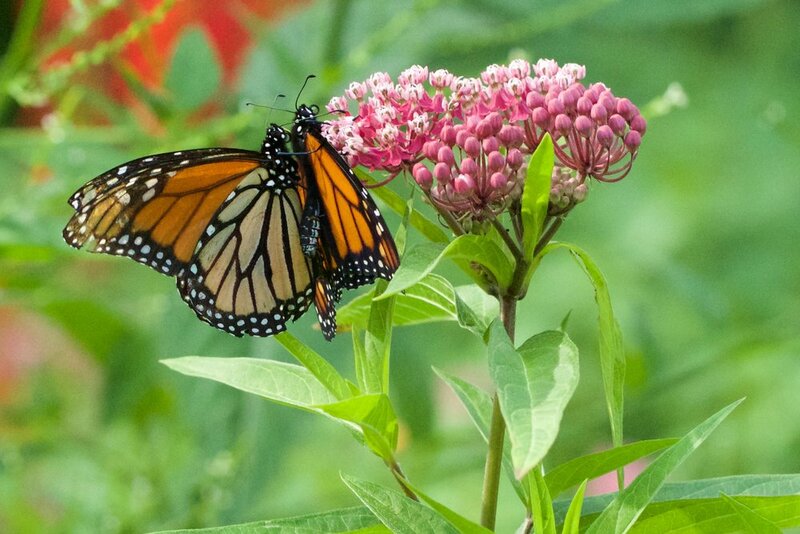 Madison Audubon will host a table again this year, featuring the Wisconsin Monarch Collaborative, free milkweed seeds, information on how you can protect monarchs in your yard, as well as other backyard habitat resources for supporting birds and other wildlife as well! More info on our table location coming soon. Wisconsin Public Television’s Garden & Landscape Expo is a midwinter oasis for people ready to venture out and dig their hands in the dirt. Now in its 26th year, this three-day event celebrates the latest trends in gardening and landscaping, and attracts more than 20,000 people from across the Midwest. Join other gardening enthusiasts to share ideas, gain inspiration and connect with professional landscapers. All proceeds support Wisconsin Public Television. Learn something new at one of more than 150 free educational seminars and stage demonstrations. Connect with dozens of landscaping professionals who can help deliver your landscape dream. Visit with hundreds of businesses, independent contractors, nonprofits and artists to share ideas and learn about the newest in gardening, landscaping and local foods. Discuss innovative gardening techniques with University of Wisconsin-Extension horticulture experts. Relax with a casual walk through the central garden—courtesy of Wisconsin Nursery & Landscape Association (WNLA). Purchase seeds, tools and everything else you need to be ready when the trees bud and the ground thaws. Attend the Sunday farmers' market, featuring farmers, food artisans and local food retailers.